Sometimes when things are not going your way, it seems like you are losing grip of what’s going on. Either your career is not going anywhere because you were told you are not qualified for a promotion, or you are feeling down because people around you kept telling you that you are not good enough to do this or that. Eventually it gets into your head and you start to believe that you are not capable of achieving your goal or career aspiration. There is a saying that when it rains it pours. Sometimes when things are not going well, it seems like it will never end. You wish to catch a break, but can’t make any headway. At that point, there are two choices, throw in the towel or step back and analyze your situation and correct and adjust. Either way the outcome must be something you are willing to live with. Last Sunday I was watching the PGA Championship. Dustin Johnson a 26-year-old player from the US was putting for par on the 18th hole to tie the lead and have a chance at a playoff. 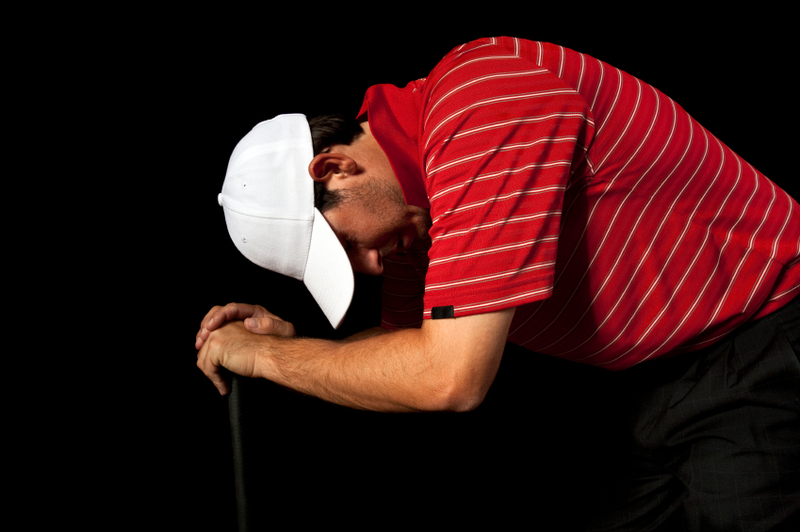 After completing his par putt, he was told by a PGA rules official that he was at a bunker and grounded his club. It meant an automatic two-point penalty; each took him out of contention. One moment you are happy to have chance to win a tournament and the next minute you are walking back to your car to get ready to call it a day. With what happened, I’ve seen people lose it, but Dustin never blamed anyone for the incident. He did not even request a replay. He acknowledged that it was his mistake and it was time to move forward. Such action takes courage and confidence. He demonstrated what it is like to be a true gentleman. I’m not saying that if you show that you are upset, there is anything wrong with it, but rather he chose the high road or the road less traveled. This is not the first time an unfortunate situation happened to him. At the US Open, he was the leader going into his final round. He had a three shot lead. After a par on the first hole, he triple bogied, double bogied and bogied the next three holes. The rest is history and he finished with a score of 11 over par 82. It is the highest score by a 54-hole leader since 1911. Sure he was unhappy with his performance and would have liked to win the tournament. But when things are not going his way, he hangs in there. Because of that, players around him have so much respect for him. He is true example of a role model for children and adults alike. Two days after the PGA Championship incident, people were wondering if he was kicking himself for his misfortune, but he is in fact enjoying himself and moving forward. Johnson is quoted saying, “I just don’t get why somebody wouldn’t believe me when I say I’m over it. You have to go forward. In every sport, you have to go forward.” (Yahoo, Sports). Because of his action a lot of players around the world are showing their support and providing words of encouragement. As an avid golf fun, I became an instant fan of Dustin Johnson. I like his positive attitude and he won a lot of people over. For other people, missing two opportunities to win majors might be enough for someone to succumb to self pity and feel sorry for themselves. It could cause people to doubt themselves and lose their self-confidence. Then the downward spiral of a career that ends up in the dumpster is not far behind. In life you always have a choice, a choice to be sad and feel down or to figure out what’s going on and find a way to address your challenges. Either way the choice is yours and, depending which path you choose, the outcome will be influenced by the decision you made. Sometimes the outcome is out of our reach, especially if it is health issues. But our attitude plays a big role in how hard things can be in the months or years to come. No matter how bad your situation you always have the gift of choice on how to handle it. The choices we make ultimately affect the outcome of our situation. Try to think positively and seek other people for help if needed. Remember, you are never alone unless you decide to be alone. Focus on the challenge and come up with solutions that will address the issue. Work at it to achieve incremental gain. Never give up and keep at it. If in the end you did not succeed, you can still say that you gave it your best and you’ll be respected for that. I’ll end the post by saying negative thinking is like mud, the more you step on it the more it will spread and mess things up. You have a choice to wash it off or keep stepping on it. Either way the choice is yours. I’m a big believer in the phrase “Life is 10% what happens to you, and 90% how you deal with it.” In fact, I had to remind my son of that tonight.